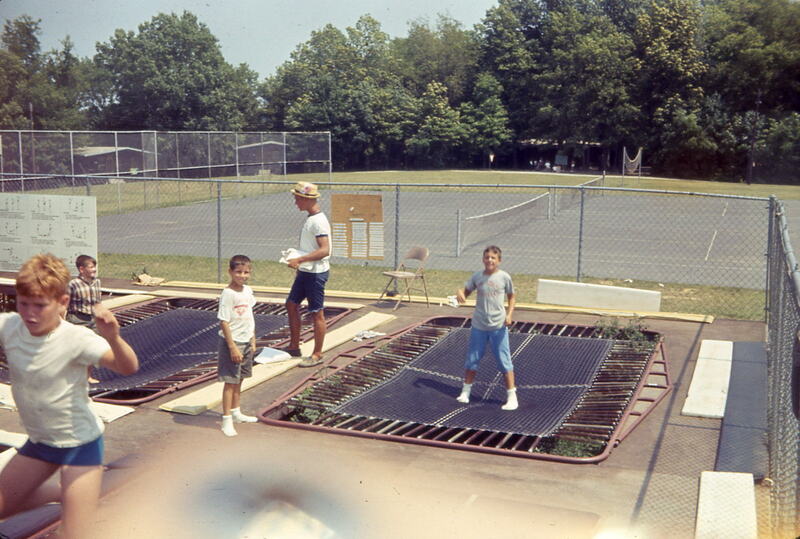 [pic] ... 1965, Bob Harding on the Trampolines. [pic] ... 1965, The Torpedo Brothers. 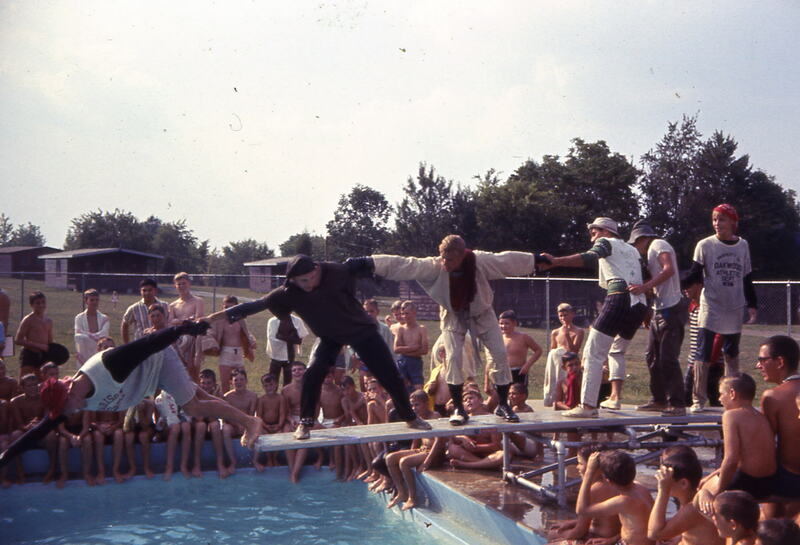 On the diving board, left to right: ?, Jack Harding, Bob Harding, ?, John Kessler?, Dale Erskine. Far right corner, sitting: Reed Packer? 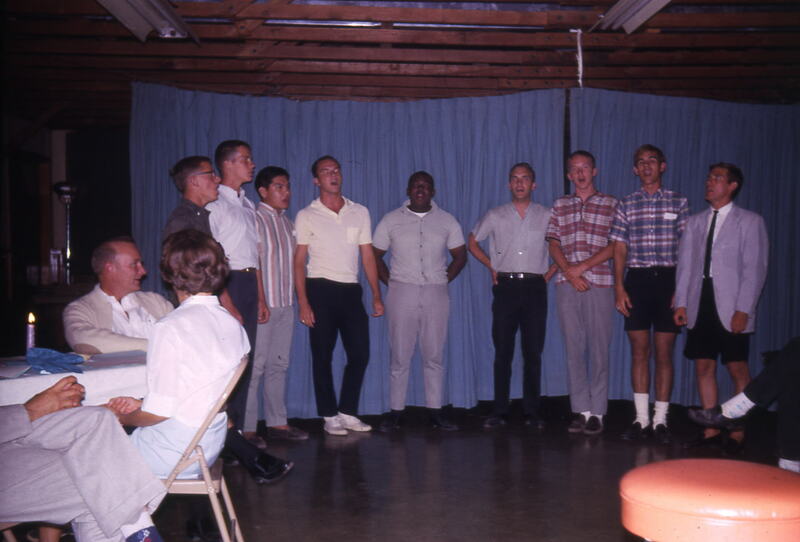 [pic] ... 1965 Staff Banquet. 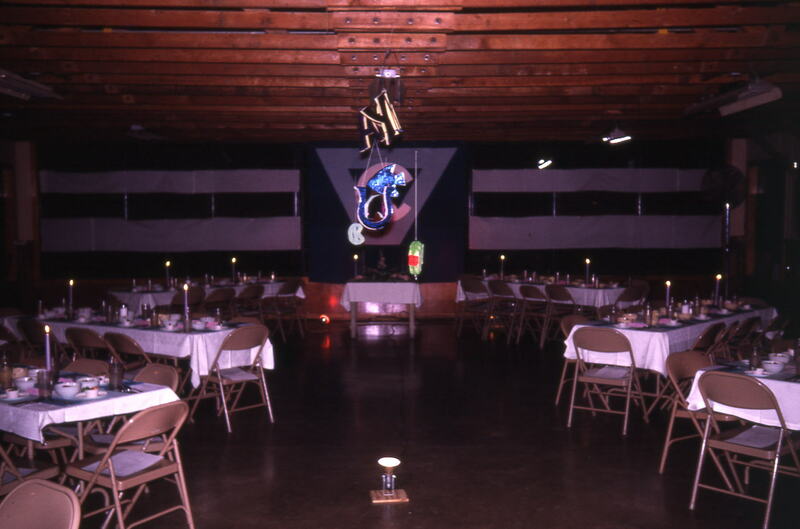 Setup in Lodge. 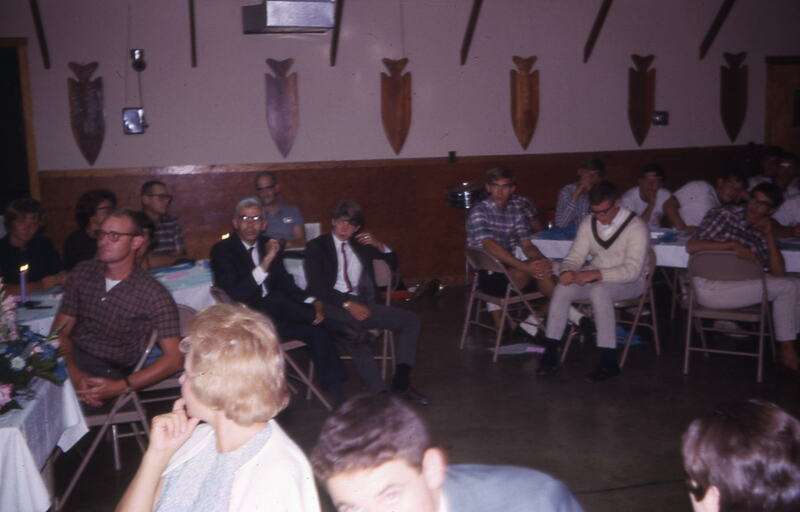 [pic] ... 1965 Staff Banquet. Standing, left to right: John Kessler, ?, Durbin Feeling? , Art Quinn, ?, ?, Dan Faulkner?, Jack Harding, Paul Sestina. 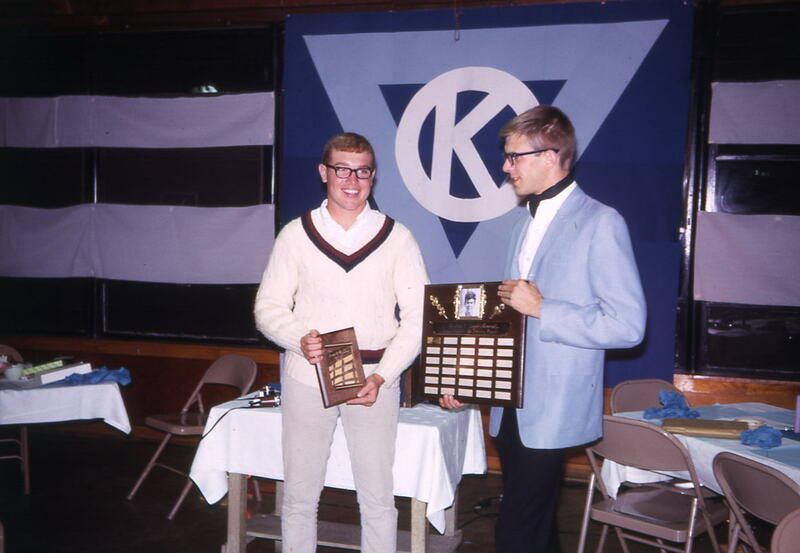 [pic] ... 1965 Staff Banquet. Left table, FAR side, left to right: Peggy DeMarse (Hater), daughter of long-time Kern booster & Board Member Bill ('Bull') DeMarse; Gretchen Sprout (partially obscured); Board Member Dave Sprout; ???. Left table, NEAR side, left to right: Board Member Lee Whitney; his wife, Betsy Whitney (almost fully obscured by Lee); Dr. Maccabe and brother of Jim Maccabe. Right table, NEAR side, left to right: Jack Harding, Marty Erbaugh, Tom King.